ALL OFFERS ENCOURAGED!Owner Motivated! Make Offer! This boat has been lovingly cared for by its knowledgeable owner!This 1986 DCN Yachts Palm Beach 30, a Costa Rican built Gamefisherman style sportfisherman is inExcellent Shape!Recent updates: New helm seat cushion, new transmission, and forward deck soft spot repaired and re-painted.Fresh hull and deckpaint! Fresh Varnish! Fresh bottom paint and prop work! New Canvas and Coaming pads!DCN Yachts are smartly designed, brilliantly engineered, and handcrafted one yacht at a time.DCNYachts built some of the finest cold molded sportfishing and pleasure boats in the industry, using experienced Costa Rican labor and the finest local and imported materials. 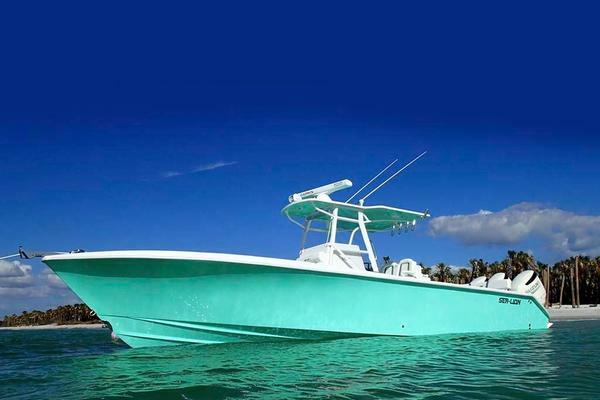 Boats that stand the test of time and the rigors of professional sportfishing.This custom express fisherman has it all: head turning good looks, fuel efficiency, simplicity, and fishability. This Palm Beach 30 was rewired and repowered in 2004 with a Yanmar 315, and has500hours since being overhauled in 2012. 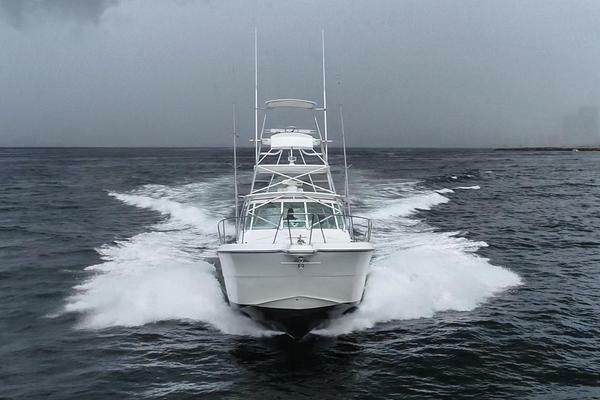 This engine package gets an awesome3mpg at 18kts!Fishfinder, GPS and open array radar are displayed through twin Raymarine C-120 Screens, Raymarine Autopilot, and VHF. Owner recently added aRaymarine C7 screen in July 2013!LED under gunwale and underwater lights! Outriggers and center rigger! Covers for helm, cockpit, andupper station!Bilge pumps, high water crash pump and high water alarm added 2013.Three sided eisenglass enclosure new in 2009 and recently re-stitched/glued.New fuel lines from fill to tank and associated hardware July 2013.This boat features custom upgrades, such as a folding tower with removable buggy top, and a 60 gallon livewell/leaning postdesigned by Yellowfin Yachts. The owners keep adding to the boat and catching fish!Please see full specs formore details and a list of recent upgrades totaling over $40,000!Bottom painted and mechanical service every Spring. Hands on owner is personally involved with every aspect of this boat and it shows! 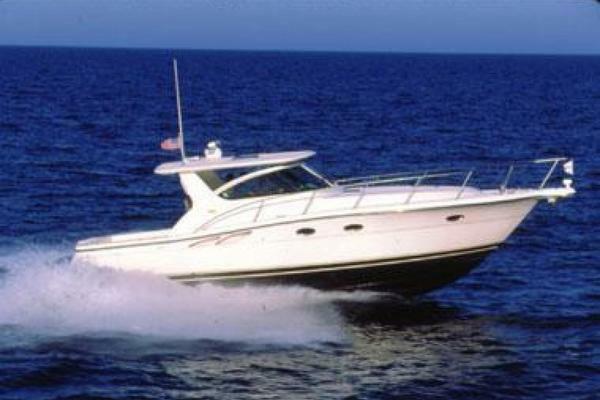 United Yacht Sales New Jersey would love to guide you through a personal showing of this 31' Custom Palm Beach 30 1986. This yacht for sale is located in Orange Beach, Alabama and priced at $49,900. For a showing please contact us by filling out the form on this page and we will get back to you shortly! The cabin features bunks to port and starboard, with storage below. There is beautiful varnished wood decking and trim. Rod storage racks above, and storage areas above the bunks as well. The head has been replaced with a portable one for simplicity, but the plumbing is there for the next owner to install a fullmarine head if desired. There are two speakers for the stereo system as well as the electrical panel and a mirror. Gypsy Girlis cold molded, 3 layers of Laurel wood epoxy glued and epoxy glassed on outside and epoxy resin coated inside. One of the lightest and strongest construction methods possible and afish raising machine! P&D Marine repaired the heat exchanger on 4/2014 and has performed yearly maintenance every April or May. Next service scheduled for completion by May 2017 by P&D Marine. Propeller scanned and tuned before being splashed April 2017.The Canvas Shop has re-bonded the clear enclosure 9/2015. The bimini top and tower buggy top canvas were both replaced in 2016 and 2017. New cockpit coaming pads 2017 and tower deck repainted as well. Cushions are in excellent shape and have been refinished/re-dyed in 2017.Trophy Marine Electric has performed numerous electrical upgrades including some re-wiring and lighting in 2015. In 2015 the Raymarine C displays were updated, a new DSM installed, and bilge pumps redone. 8/2015 steering mount rebuilt. 2015 new raw water wash down pump. 2016 new transducer for Raymarine andnew LED tower lighting.3/2017 New 8D batteries (2)Owner has well over $30,000 worth of invoices from the last three years of ownership. He typically uses the boat less than 100 hours a season and keeps it in tip top mechanical and cosmetic shape at all times!